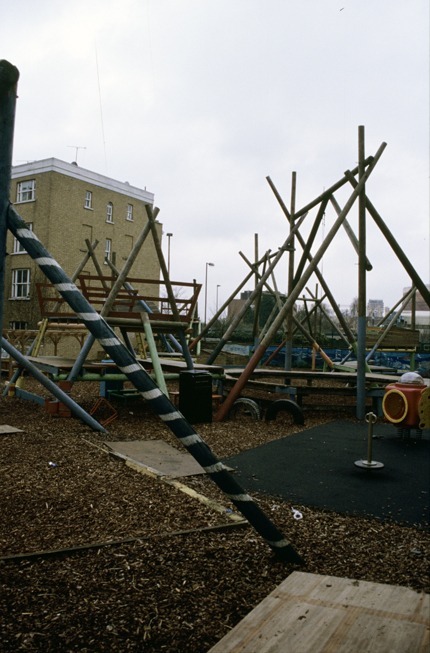 Ashburnham Adventure Playground began life indoors in a disused factory adjacent to the current site and was known as the "inside-out building". it was later established outside on an old bombsite. The structures are designed and made together with the children that use them.